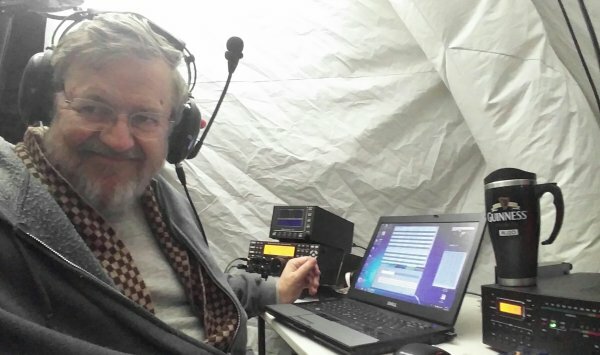 Dave has been a licensed ham since 1970 has enjoyed a passion for DXing and CW Contesting. An experienced DXpeditioner he has traveled to and operated from over 65 different DXCC entities. His rare trips include Navassa (KP1) in 1993, Easter Island (XR0Y) in 1995, Clipperton (TX5K) in 2013, Heard Island (KK6EK) in 2016, as well as Mellish Reef (VK9MA) in 2017. His complete list of operations are: 3DA0 (twice), 6W, 6Y5, 8P, 9H, 9Y, C6A (twice), CE, CE0A, DL, EI, ES, F, FG, FJ, FM, FO8, FS, GI, GJ, GU, HB9, HB0, HK, HK0, HP, I, J3, J6, J7, KH6, KP1, KP2, KP4, LU, LX, LY, OA, OE, OH, ON, OX, P4, PA, PJ2, PJ4, PJ7, PZ, SM, SP, TF, TI, V2, V3, V4, VE (Zones 1 & 2), VK0H, VK9M, VP2E (twice), VP2M, VP5 (6 times), VP9, YL, YN, ZF, ZP and ZS. He maintains details of each trip at http://www.wj2o.com. Since the age of 22, Dave has been a small business entrepreneur building a number of different enterprises. He currently operates a software and database development firm. He and his wife raised two daughters and enjoy four grandchildren.